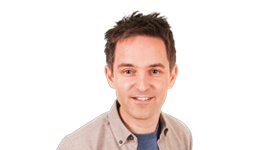 Would you like to win a full year's subscription to Netflix and a case of Tayto Popcorn? We've teamed up with Tayto Popcorn to give away this fantastic prize each week on the Q Drive show to celebrate the 'Perfect Mid-Week Movie Night'. For your chance to win, tune into the Q Drive show from 31st January- 21st February 2018. You could be binge-watching your favourite series on Netflix all year for free! Each winner will receive 1 x 12 month standard subscription to Netflix and a case of the new Tayto Popcorn Bacon & Maple Syrup flavour. Tayto Popcorn is the newest addition to the Tayto family and it’s scrumptious! The guilt-free snack has less than 100 calories per serving, PLUS it’s gluten free! 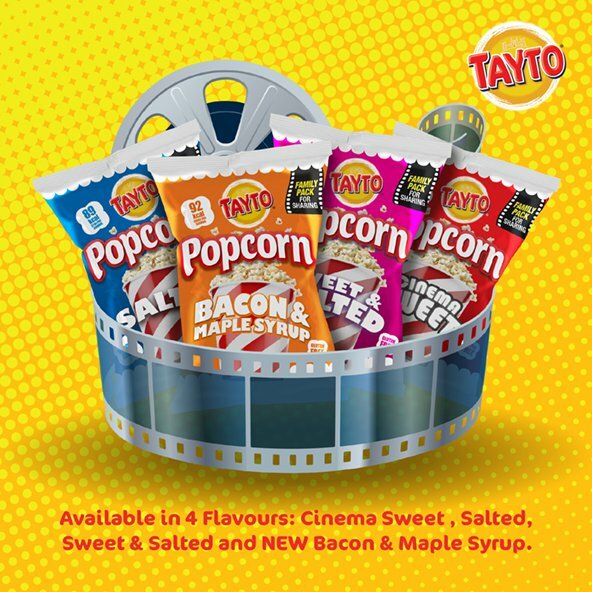 The Tayto Popcorn range comes in sharing bags in 4 delicious flavours; NEW Bacon & Maple Syrup, Cinema Sweet, Sweet & Salted, Salted, and is available in supermarkets and convenience stores across Northern Ireland now. Why not enjoy a 'Mid-Week Movie Night' with the family? Pick up some Tayto Popcorn on your way home from work, choose a movie and relax! For further chances to win with Tayto Popcorn, please visit here! This competition will end 23rd February 2018. 1. Entrants must be UK residents aged 18 or over, excluding employees and their families of Tayto, their agencies, or anyone professionally connected with this promotion. 2. There are 4 prizes of a year’s standard subscription to Netflix UK and a case of Tayto Popcorn Bacon & Maple Syrup flavour. 3. Prizes will be posted out within 4 weeks of the claim date. 4. Prizes to be taken as stated. There is no alternative in cash or kind. 5. The promoter accepts no responsibility for prizes being lost, damaged or delayed in the post. 6. All data will be held in accordance with the Data Protection legislation and we will not use your details, or pass them to a third party, without your consent, except for the purposes of this promotion. 7. By entering this promotion all entrants agree unequivocally to be bound by these terms and conditions. 8. This promotion is in no way sponsored, endorsed, administered by, or associated with Netflix.